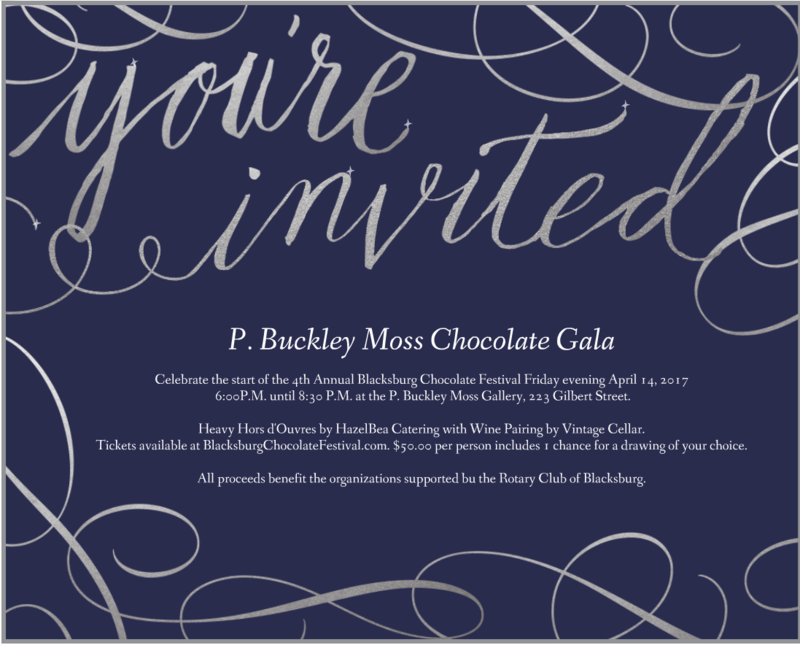 We are excited to announce that the P Buckley Moss Gallery will be hosting our evening Chocolate Gala! Ms Pat Moss will also be there to visit and share about her art and enjoy some chocolate and wine along with us! Be sure to get your tickets early as this is a limited ticket event!